Both the kids love sensory bins. It is something which I only found out about when I started doing research into home education. Our latest sensory bin has been an animal one. Pink had great fun keeping the carnivores apart from the herbivores so that they would not try and eat them. The main idea behind the sensory bins is finding fun ways to get the kids to play with different textures – this can be a challenge for a child with SPD. Pink loves her sensory bins but will always start off trying to find a way to play without putting her whole hand in, only after a day or so will she actually submerge her hand into whatever is in the bin. Blue on of the other hand has been known to stand and sit in the bins. The favourite sensory bins have been the Artic bin (my kids love polar bears) and a button/ bead combination bin. 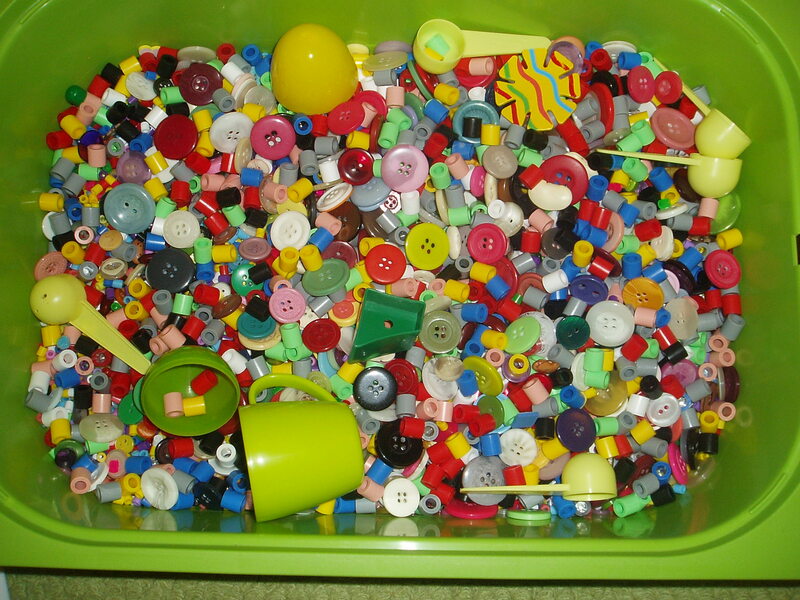 The button/bead bin is actually kept with their other toys and they often pull it out and will sort the buttons / use the beads for the Hama Boards. We have also emptied their letters and number into the bin so that they can search for them. Recently Pink and I had great fun hiding some of her sight words in the bin and as she found them she would read the word and practice writing it. I have no doubt that we will think of many other ways to use this wonderful bin. 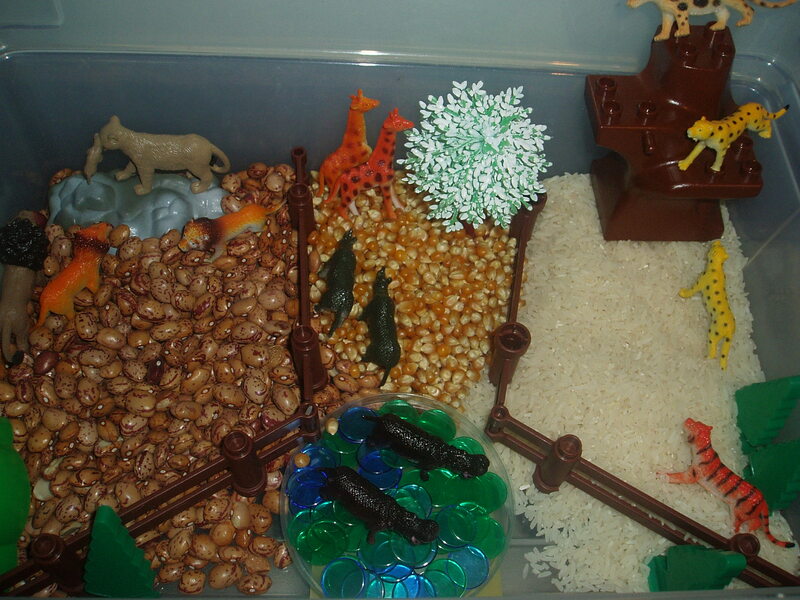 This entry was posted in sensory play and tagged sensory bins. Bookmark the permalink.